This past weekend, my brother was visiting. We wanted to go out, yet have a home cooked meal and not resort to just getting takeout on the way home. I had already planned on making Kofta with Tomato Sauce (Mediterranean Meatballs with Tomato Sauce), so I thought that I would put my dusty, neglected slow cooker to good use. I made the kofta exactly as before, except I started it in the slow cooker, to finish it off in the oven after getting home. I did not add potatoes this time, but I might suggest cutting them slightly bigger than in the original recipe if you decide to use them. The meatballs should be completely cooked through by the end of the crockpot cooking time, and just needs time to get the sauce nice and bubbly in the oven and also to brown the kofta, as the slow cooker will not brown the kofta. Combine all kofta ingredients in a bowl, and knead to combine. 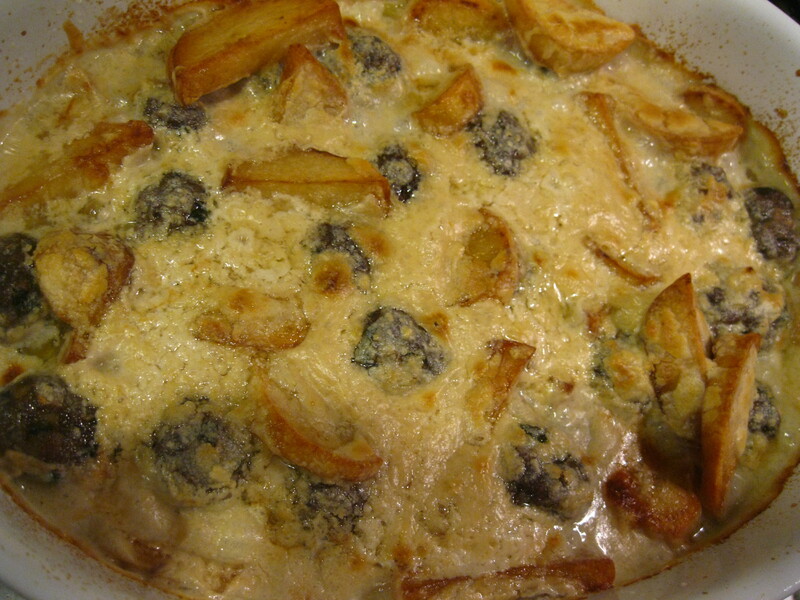 Shape into round or elongated meatballs and place in stoneware crock of slow cooker. Meatballs do not need to be in a single layer, just carefully pile them on each other, taking care not to flatten or break them as you place them. Add onions, potatoes, sliced bell peppers, or sliced tomatoes, if desired. Cover and cook on high for 4 hours, or low for 8 hours. 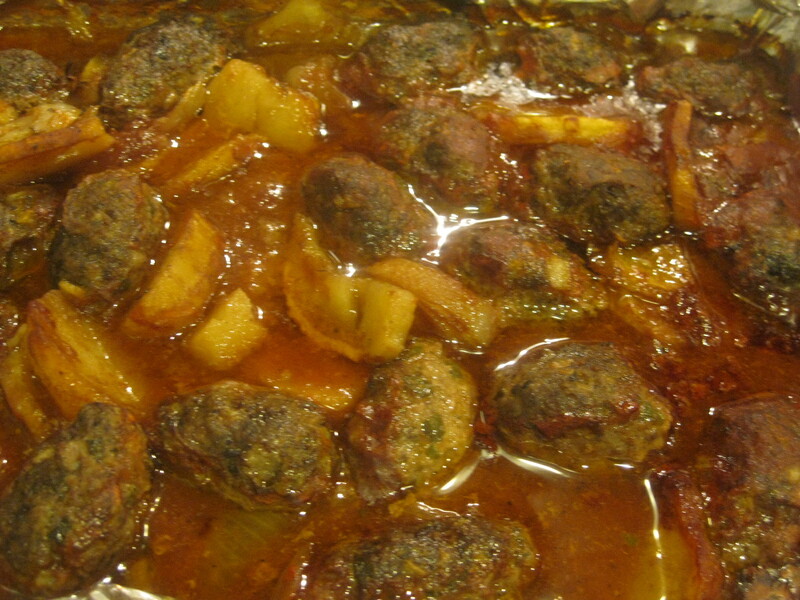 With a slotted spoon, remove kofta from crockpot, placing in baking tray, including any of the vegetables you added. There should be lots of liquid left in the slow cooker. Measure out one cup and pour over kofta. For the sauce, use the original amounts of sauce as in recipe links, using hot cooking water from the slow cooker, if desired. 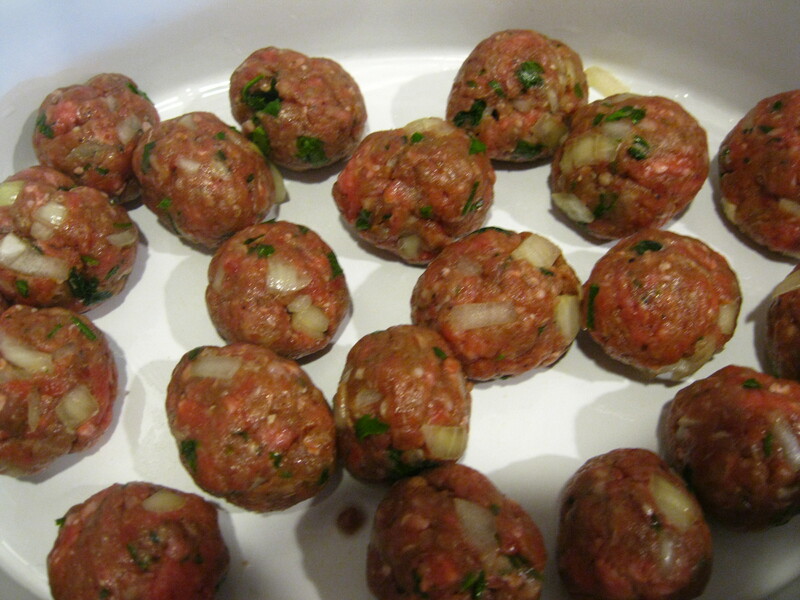 Pour over kofta, and bake for 15-30 minutes until bubbly and kofta is browned. Note – After removing from slow cooker, and transferring to oven, you could start with 15 minutes in the oven and if the sauce is sufficiently bubbly but the meat looks like it needs to be more browned, you could also turn on the broiler for a minute or two to brown if needed.